Welcome to the UNESCO World Heritage Site Bamberg! Take a stroll to convincer yourself of the city's charm of the city! Many sights are just a 5-minute walk from our hotel. 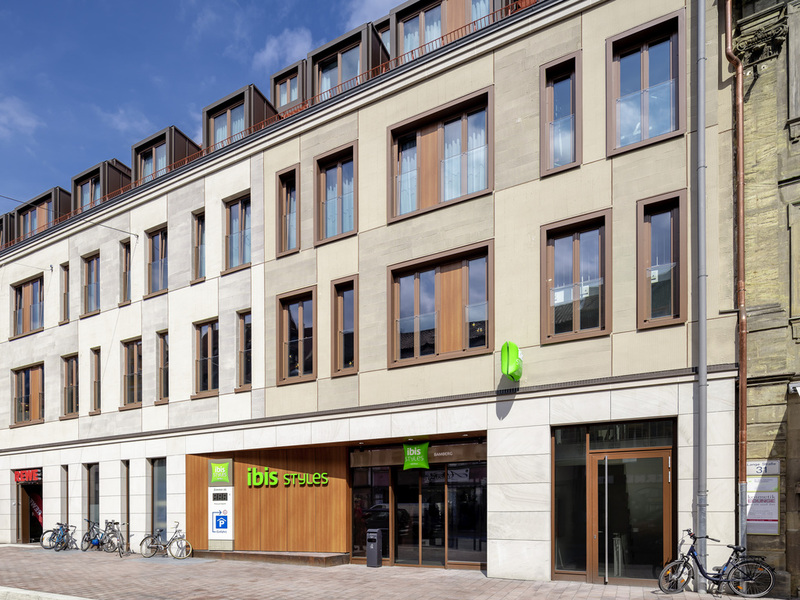 The ibis Styles Bamberg combines unique design and modern comfort with the medieval charm of the old town. Hotel guests can enjoy many free extras, such as a hearty breakfast buffet, hotel wi-fi, fitness room, and coffee, tea and water in the lobby until 10pm. Spacious family rooms are ideal for travelers with children, and children under 16 stay free in their parents' room. Free access to the fitness room. Find peace and relaxation in each of our 132 rooms. Enjoy a relaxing sleep in your Sweet Bed by ibis Styles. Rooms include a desk and a 22-inch LCD TV. Free WIFI and free phone calls to German landlines. Our bar is open for when you are hungry or would like a refreshment. Our team serves hot and cold snacks, hot drinks and chilled drinks 24 hours a day, 365 days a year.